Do I get paid if I miss work because of extreme weather? The first snow of this year has fallen in the North East of England, predicted quite accurately by the forecaster, that it would fall on Thursday. When the snow showers started, a lot of you were most likely already at work. But you must wonder what would happen if the snow endures for a few more days, and you cannot get to work safely, this could be due to unsafe roads, or childcare problems triggered by school closures. We shall look at the rights you have if you get “snowed” in. Will you get into trouble if you don’t make it to work? Will you get paid? You cannot be forced to come to work by your employer if the journey is too dangerous or simply no possible to make. Be that as it may, your employer may not have to pay you. It is normally your duty to get to and from work so if you don’t turn up, your boss can consider the absence as unauthorised. 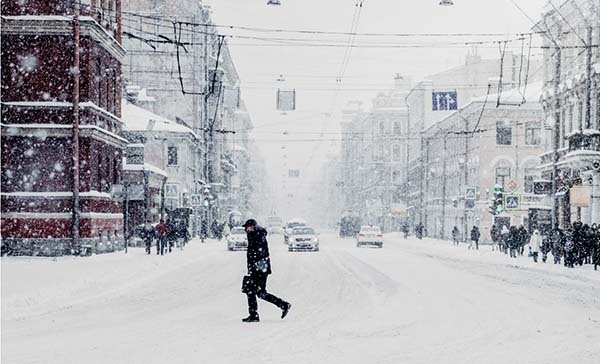 ACAS (Advisory Conciliation and Arbitration Service) states that if you stay off work due to bad weather or travel disruptions, you do not have a legal right to get paid. There are some contracts however that include some clauses in which there is an agreement to pay workers on days they cannot work due to the snow. Check your employee handbook or contract to be sure. However, in a case where transportation is provided by your employer and it gets cancelled because of the weather, you would likely still be paid for however many hours of work you miss, if you are able to prove that you were able and willing to work on the day in question. What if my workplace closes because of extreme weather? You were available, ready and willing to work. Your employer partly or fully closes the business. Reduces working hours due to the bad weather. Essential staff (like those who are responsible to allow access to the business) cannot come to work. However, some contracts may contain clauses about provisions for extreme weather days. According to gov.uk , it may state that you should work from home for instance, without having to come in to the office. If you are on a zero-hour or casual contract (or no contract at all), you probably would not be entitled to any pay for that day. Also, some contracts allow employers to lay-off some of their employees (without pay) on days when bad weather stops them from getting to work. Is it possible for my employers to force me to take a paid holiday on a snow day? Yes, you can be forced by your employer to take a snow day off as a paid holiday, but only if he/she notifies you ahead of time and gives you notice of at least twice the time you are being forced to take off. So, for instance, if your employer needs you to take one day off due to poor weather, they need to notify you a minimum of two days ahead. They cannot, on the day you need to go to work, tell you to take a paid day off because of poor weather. Am I allowed to go home if the office is too cold? No. It is recommended by Health and Safety Executive to keep offices at a temperature of at least 16C, and 13C for rooms for physical work. But this not a law, it’s just a recommendation. According to ACAS, when temperatures drop significantly, employees should be given extra breaks for hot drinks and should be permitted to wear clothes that are warmer and better suited for the season. Am I allowed to take the day off if my child is out of school and I must look after them? According to the law, in case of ‘unexpected incidents’ (school closures, for instance) you have the right to take a day off to take care of your kids. Section 57A(e) of the Employment Rights Act 1996 grants you the right to take an acceptable amount of time off work to deal with unforeseen incidents concerning your child while they are at school, such as a school closure due to extreme weather. Your employer does not have to pay you, however some may, or some flexibility is often shown by allowing you to work from homes.